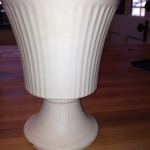 The McCoy plant pot I found for 75 cents at a local thrift shop. It’s worth, according to ebay, about $9 to $10. 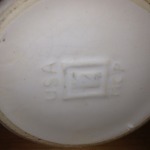 I found my first official piece of McCoy pottery this week at a local thrift shop! It was priced at 1.50, but because they were having a half price sale I got it for .75 cents! I’m very excited. When I got home and looked it up, sure enough it was! Anyway, it pays to dig, hunt and look! 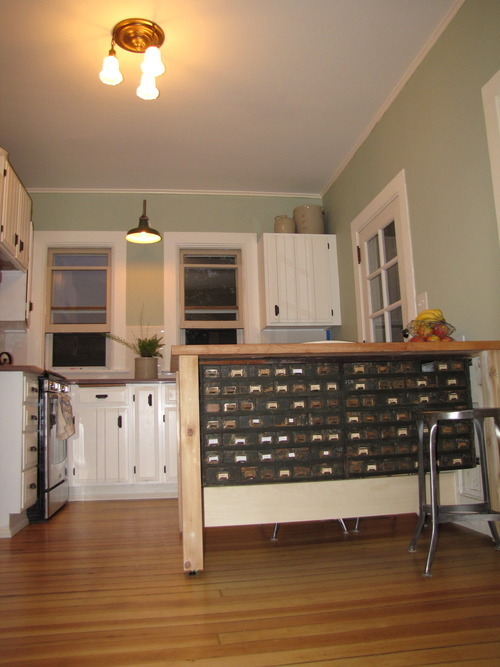 Our kitchen remodel is NEARLY complete! The remaining details are up to us to complete and are quite simple – painting the trim and hanging some art. But, fitting these simple tasks into our busy summer is a larger challenge than I thought it would be. Working in the time to paint has been limited to weekends – because during the work week I find I’m too tired after Parker goes to bed to think about doing more than watering my plants. So, this weekend I’m finishing the walls. I find that when a project is nearly complete, it doesn’t hurt to have some incentives. Hosting book club this last week was the reason I was able to power through and get the primer on last weekend. And this weekend it’s the fact that a friend of ours, who paints on the side, made a trade with us to paint the trim – which means I need to get the walls wrapped up so he can finish the trim. This same friend gave me some good wallpaper tips, so once I’m done in the kitchen, I’m going to jump back to getting the wallpaper hung in the parlor. The incentive here is two-fold: 1) I’m sick of living in a remodeling mess; and 2) The settee and conversation chairs that Shon’s mom and dad gave us, which once belonged to his great-Aunt Frieda, are completely restored and re-upholstered. Kevin at K-Craft in Tea did an amazing job! He refinished the woodwork, repaired one of the chairs and even hand-carved some missing inlay. 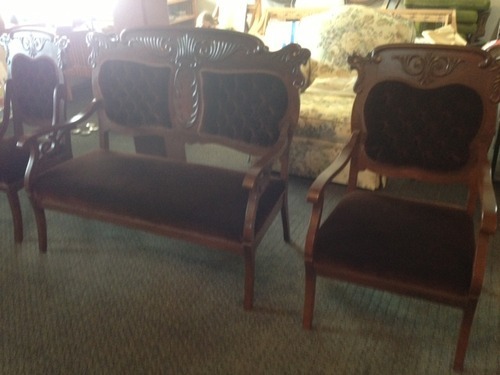 Parker and I went to see them today and I CANNOT wait to bring them home and arrange them in my finished parlor.